The ultra-quiet blower allows you to dial in the precise airflow needed. The strong, powerful performance of this system matches your cooktop’s output and aromas vanish into thin air. Choose from two blower options (either 600 CFM or 1600 CFM - each sold separately) to complete your installation. We are offering Electric Turbo Ventilator to our clients. - Suitable for adult or paediatric patients. - Easy to use during transportation inside or outside the hospital. 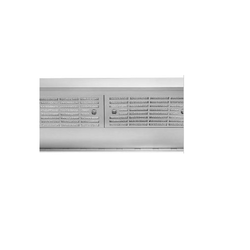 Tru-action pressure ventilator with/without heater to balance pressure and vacuum inside cold room. 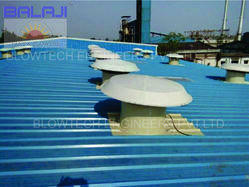 We are engaged in manufacturing and supplying of upblast roof ventilator. Pectra Innovations India Pvt Ltd.
Our clients can avail from us Powerless Ventilators, which do not require external power source to operate. These ventilators operate on wind energy and are extensively demanded for their industry specific design. Our ventilators are used for exhaustion of poisonous gases, fumes, dust, smoke and humidity from the covered area. - essential in helping the ventilator-dependent individual at home, with confidence and peace of mind. - digital portable ventilator with simple panel design and easy to set up. Power: Either 230V AC or 12V DC external battery or internal battery. Modes: CMV (Control), ASSIST, SIMV and (Standby) charge internal battery.